There is a moment early on in The Artist where silent film star George Valentin (Jean Dujardin) tries to make amends with angry wife Doris (Penelope Ann Miller) by attempting to lighten the tension in the room. George and his dog commence a simple comedic routine in unison that brings a smile to your face. His wife is not amused and merely walks away in disgust. It is at this moment that it becomes clear that the audience is in for a truly special experience. Taking place between the 1920s and the early 1930s, The Artist focuses on a time in history when silent films were on the brink of extinction with the invention of “talkies”. George Valentin is one of the big stars of the silent film era. He is adored by the masses, including the young up-and-coming actress Peppy Miller (Bérénice Bejo), and he has a lot of clout with the film studios. When the studio head, Zimmer (John Goodman), tells George that the future of filmmaking are films with spoken dialogue, George scoffs at the idea and sees it merely as a gimmick. As the studio movies ahead with their plans to introduce “talkies” into cinema, George soon finds himself on the outside looking in. His career begins to spiral downwards and his only companions end up being his dog and his loyal chauffer Clifton (James Cromwell). The Artist is a brilliant homage to an era of cinema that is gone, but not forgotten. Director Michel Hazanavicius creates a wonderful film that conveys a strong and moving story despite not having any dialogue. To say that The Artist is a technical marvel would be an understatement. The lush black and white visuals give the film an authentic feel, and the use of sound is simply stunning. For example, the scene where George is confronted by a world in which everything emits sounds but him. The use of sound helps to give the scene both a comedic, and at times horrific, effect. Although gorgeous to look at, The Artist transcends from a mere homage film due to its depth in plot. This is as much a cautionary tale about the evils of being too prideful as it is a love letter to the cinema. George’s reluctance to accept both change and assistance from others is what leads to his downfall. Dujardin does a fantastic job of using physical gestures and expressions to display George’s state of mind through the various stages of his career. Dujardin has undeniable charisma and his scenes with Bejo are great. The pair really provide the love story with a truly magical feel. The Artist rode into TIFF on a wave of good buzz from the Cannes Film Festival. While at times the almost defying level of hype can hurt a film, when it does not live up to people’s enhanced expectations, this is not the case here. 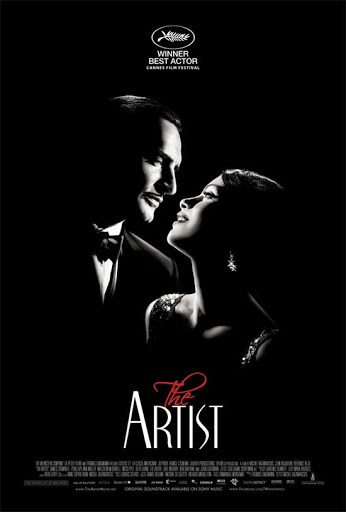 The Artist delivers on every level as it will make you want to run out and purchase every silent film ever made. The film is a wonderful experience and it is one of the best films you will see this year. @Laurent de Alberti – The film hits theatres in November so be sure to go out and see it. You will not be disappointed. a wonderful review. I am looking forward to the film. I hope you don't mind my sending my readers your way to check out your review! @Scarletsp1der – Of course I don't mind. I shall return the kindness via my "sharing the blogging love" feature. Saw this at the Toronto International Film Festival. It is every bit as wonderful as people are saying. We saw a lot of the other big films this year – The Ides of March, The Descendants, Moneyball, Drive, 360, Anonymous – but The Artist is the best of the lot by far. I can't wait to see it again..
@Wiseacre – What did you think of The Ides of March, The Descendants, Moneyball, 360, and Anonymous? How would you rank them in terms of level of enjoyment? Now I know what all the hype is about. 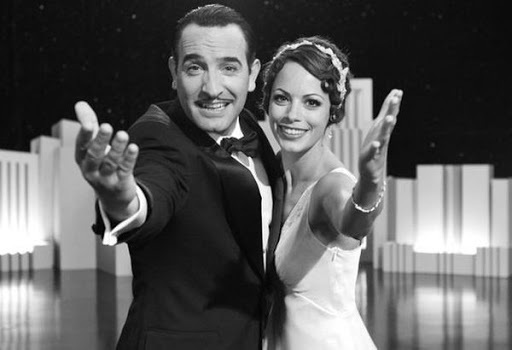 What a charming film.The Artist is a great tribute to silent films. Everything about it imitated old silent films. You cant just have no dialogue and call that a tribute. You need to go all out and this film did.Dujardin and Bejo are simply sublime and both performances absolutely warranted their respective Oscar nom's. Dujardin did deserve Best Actor. His performance as George Valentin was, in my opinion, better than both Brad Pitt (Moneyball) and George Clooney (The Descendants)–his only real competition for the award. Similarly, The Artist was way better than The Help, The Descendants, Moneyball, and Hugo so it definitely deserved Best Picutre. I like Midnight In Paris more than The Artist but realistically it never had a shot at Best Picture. All that being said, Hazanavicius seemingly deserved Best Director since The Artist was better than Scorsese's Hugo. I don't know what the Academy takes into account when awarding Best Director but since The Artist was way better than Hugo I think Hazanavicius deserved it.Furthermore, Ludovic Bource's score was fantastic. In a film that is 99% silent the score had to play a large part in driving the film forward and "carrying it", and Bource delivered.Uggie (the dog) was so cute and extremely well trained as Valentin's dog, Jack. No wonder people clamored for him to be Oscar nom'd as Supporting Actor.Hazanavicius's script was great as well. Naming Bejo's character Peppy–an accurate description of her personality–was so subtley witty and clever. Also, the nightmare scene in Valentin's dressing room where all of a sudden things make noise was so well down and not at all out of place or over the top (which it could have been). Well done sir, well done.I really liked the ending where the sound comes back and Dujardin finally speaks. His participation in the film with Peppy signified his ultimate acceptance of the new world of cinema and he finally embraced it. Therefore, The Artist could mimic that evolution and advance towards the incorporation of full sound.What a smart movie.There were, however, two small things that bugged me. I wish there were a few more dialogue cards throughout the film to help me better grasp some of the interactions. 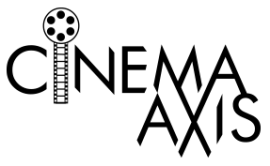 Also, the aspect ratio of the film did bother me as I'm used to the larger ratio that accompanies modern films. That being said, the ratio was used to emulate old films so it is entirely understandable and warranted. Glad you liked the film. It really is a special film that just puts you in such a happy mood after watching it. The dialogue cards do seem get neglected in the second half of the film but I was so engrossed with the film that I did not notice they were missing. I agree that the score in this film is outstanding. It never comes across as gimmicky nor does it feel like a score that was simply recycled. I honestly cannot wait to see this film again, it will definitely be added to the DVD collection.